The bagelach, also known as a cheese bagel, is a traditional Jewish breakfast pastry that is in fact nothing like a bagel at all. Although a yeasted dough may sometimes be used, the most common means of preparation involves a sweet cream cheese-based pastry, which is first filled with tangy ricotta, shaped into a horseshoe and then baked until golden, flaky and delicious. Highly indulgent and relatively simple to prepare, the richness of the pastry pairs beautifully with a dollop of sour cream, and is especially enjoyable when served with a tart, autumnal fruit compote. To make the fruit compote, bring the maple syrup and water to a boil over medium heat and cook until reduced by half. Add the apples, dried fruit, nuts and lemon juice and simmer for 20 minutes until the apples are soft. Add the salt and butter and stir to combine. Let cool before serving. To make the filling combine all the ingredients (reserving the second half of the egg to use as egg wash) in a medium bowl and whisk until smooth. Cover and refrigerate overnight. To make the pastry, combine the butter, zest and flour in a large bowl and rub together using your fingertips until the mixture has taken on the consistency of wet sand. Add the salt, cream cheese and sour cream and using your hands, work into the flour until the mixture is crumbly and only pea-sized chunks of cream cheese remain. 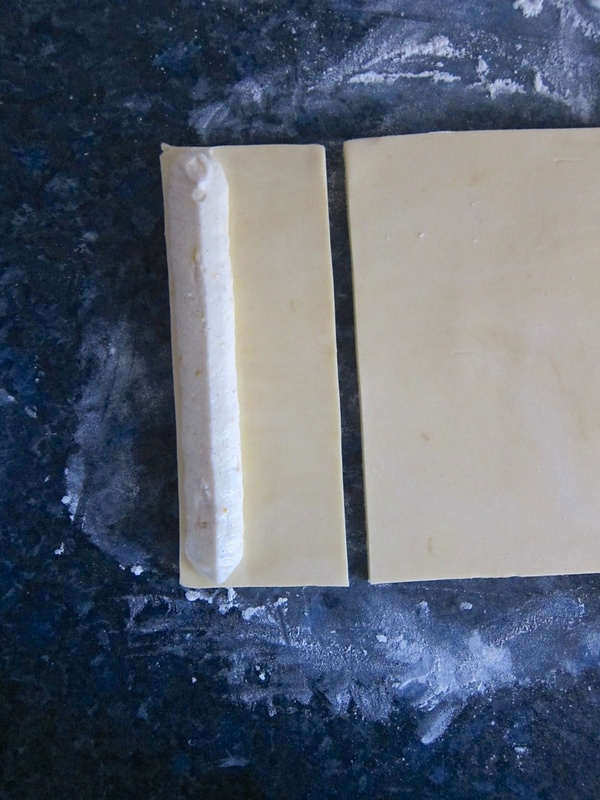 Press the pastry into a thick disk, wrap tightly in cling film and refrigerate for at least 20 minutes, or overnight. The following day, preheat the oven to 180°C and grease two baking sheets with oil or cooking spray. 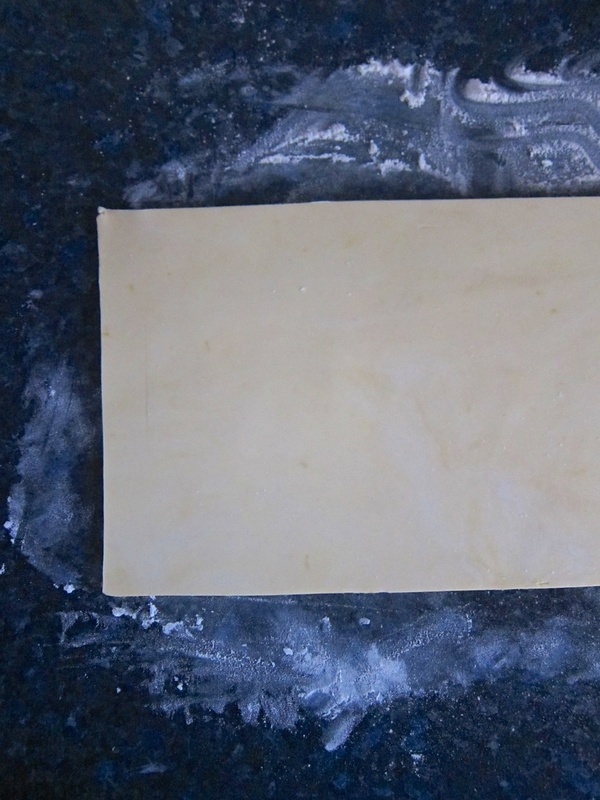 Remove the dough from the refrigerator and, on a well-floured surface, roll into a roughly 20-by-40-cm rectangle. Trim off any irregular edges. Pipe some filling along the short edge of the pastry and brush a little egg wash along next to the filling. 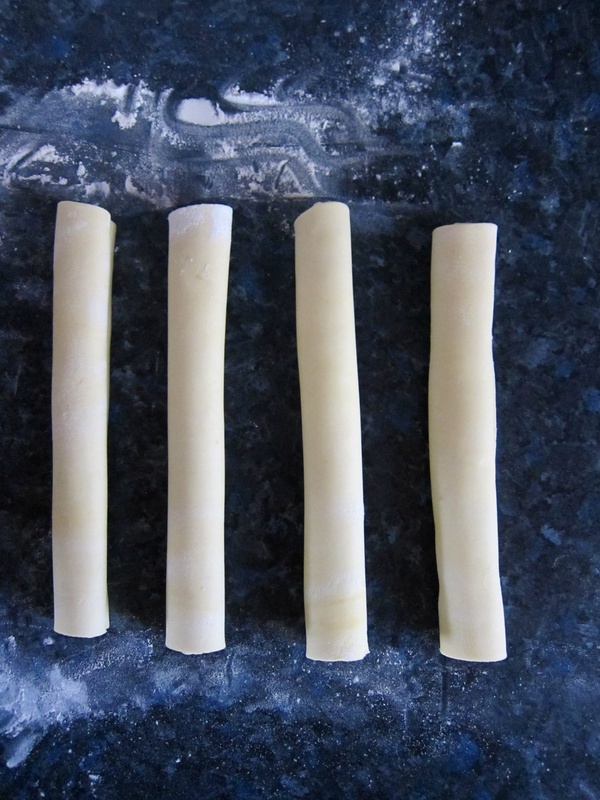 Separate the bagelach from the rest of the pastry by cutting along next to the edge of the egg wash and then gently roll the edge of the pastry around the filling so that it wraps over the egg-brushed section, thereby sealing it and creating a cylinder. 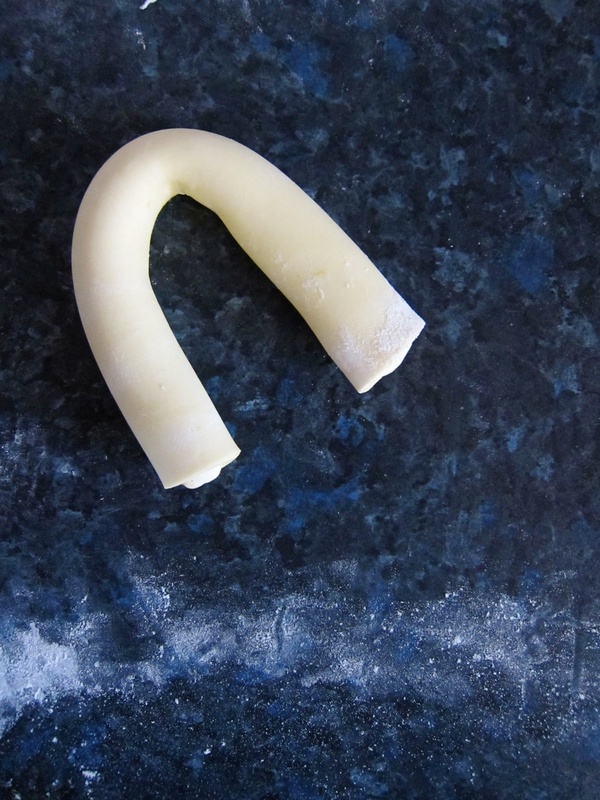 Bend the bagelach into a horseshoe shape and repeat the process with the remaining pastry and filling. Transfer the bagelach to the prepared baking sheets, brush with a little egg wash and then bake in the preheated oven for 30-40 minutes until golden brown. Serve warm, with a pot of warm fruit compote and dollop of sour cream. Makes 6-7. 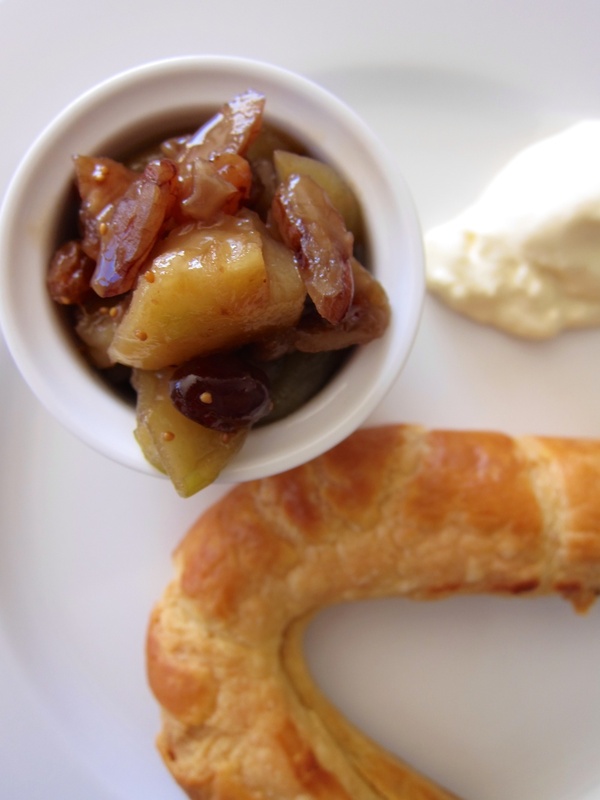 ** I found the fruit compote to be quite salty, but was surprised at how well this worked with the richness of the bagelach, so give it a try and see what you think. Substitute any combinations of fruit and nuts, as desired. If making in advance you'll need to rewarm the compote before serving.